Following from yesterdays ramblings and being gifted a little free time this afternoon, I sat back and watched this fantastic film of Southern steam on YouTube. It is one of a set that I’ll be watching in due course. Some of the footage in this video was taken in the 1930’s. From observing this, I was interested to see that throughout the 1930’s to 1940 a mix of the new and old liveries could be found. This is a bit of a relief as the locoyard collection of model locomotives includes a mix of early olive and later malachite green liveries! Another point of interest was that there were a mix of Maunsell locomotives with and without smoke deflectors (see below – N15, schools and N class locomotives often started life without smoke deflectors, which they gained later in life.) I was also interested to see a that rolling stock types were in mixed consists, with express trains having some Pullman carriages. The trackside in this period is well maintained, which is an important point of note for modellers. Folkestone Harbour is a potentially interesting subject for a model railway and another to add to the list! This is partly due to the magnificent Z class 0-8-0 tank engine of which I have a poor representation in H0 scale below. The main point of interest is it’s short 3/4 mile length and its steep gradient of one in thirty that often five tank engines working a train. Although the SECR R1 class were strongly associated with the line for most of its life, in later years pannier tanks took over. On a film taken in 1939 from the Brighton Belle, an LSWR T9 is in evidence on the ex-LBSCR line, which was interesting, given my comments yesterday. It is described by the commentator as an interloper, so I can assume that this was an exception rather than the rule! As a terrier fan, it was great to see the Brighton Works terrier in Stroudley colours from BR days. 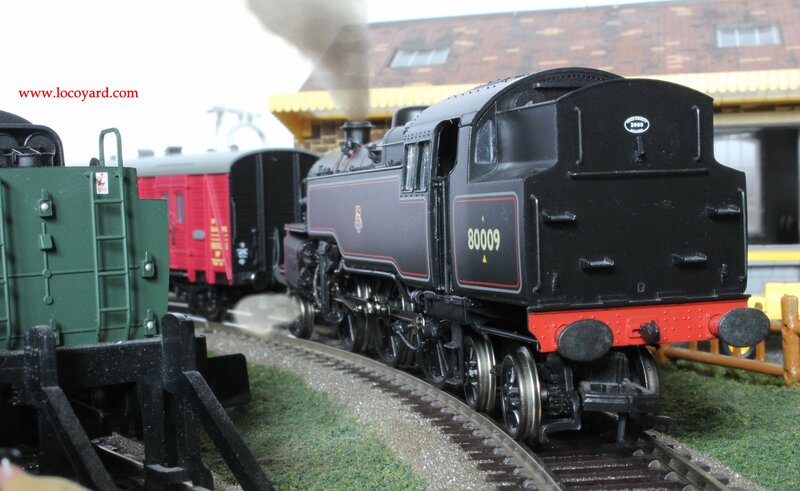 A BR themed layout could be brightened up by this locomotive, that wondered around the Southern region on railtours! On the subject of British Railways, it was great to see some footage of Bulleid pacific’s working in Kent and BR standard 4MT class 2-6-4T’s on what is now the Bluebell Line. Finally, the scenes of flooding at Lewes in 1960 were incredible – especially considering there were services running. It would be an incredible to see something similar in model form, but it would potentially be very dangerous to operate. Don’t try that one at home folks! The video is a great find. Loved every minute of it.